Backed by qualified & talented professionals and industrial expertise, we are able to offer a wide array of Wall Garment Display Rack. These display racks are thoroughly verified against diverse parameters in order to deliver the flawless array at clients’ premises. 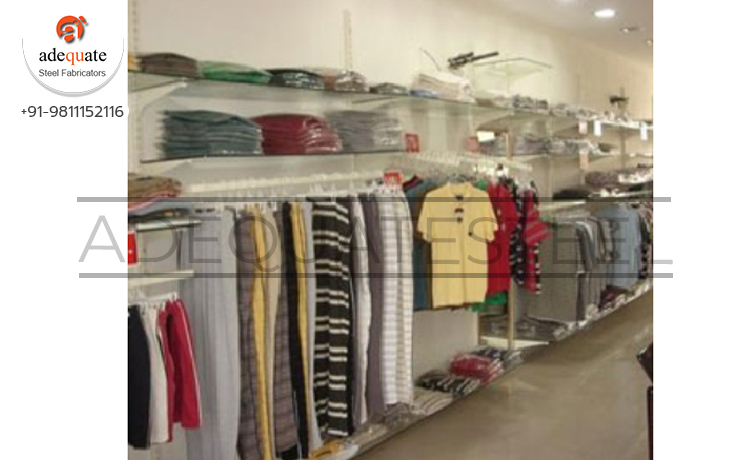 The racks offered by us are available in standard as well as customized options as per varied desires of our clients. Apart from this, these products are highly applauded among the clients for their several qualitative attributes such as remarkable quality and cost effectiveness. Address: 2015, Bank Street, Karol Bagh, New Delhi - 110005 (INDIA).